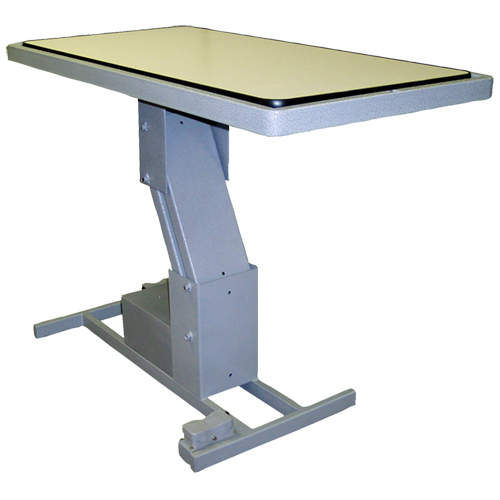 Elevation Station - 25.5" x 49.5"
The Elevation Station is a light duty elevating work station - a tool for productivity. The height is easily adjusted with either of the dual footswitches, pre-wired at opposite corners of the base frame for operator convenience. The linear actuator means that it is clean running, no oil, nothing to spill and direct acting -- power up and power down with precise control. Platform Size: 25.5" x 49.5"
Overall Platform Dim. : 25.5" x 49.5"
Platform Insert Dim. 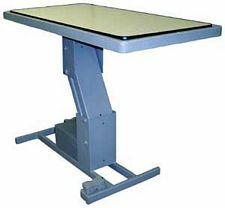 : 23.5" x 47"
This work station comes with a reversible platform top. The 1’’ thick platform insert sets down into the steel frame. The platform insert is a smooth plastic laminate on one side and a rugged non-slip plastic surface on the other. Changing the platform top is as easy as lifting it up and flipping it over to use the platform side of your choice. The platform insert can be replaced with a customer supplied material like plastic, UHMW, wood, stainless steel or any other material suited for their special application. Poly Heavy-Duty Picture Frame Pallet - No Rods, 37"x37"
Manual Mobile Pallet Lifter - 21.25" x 47"